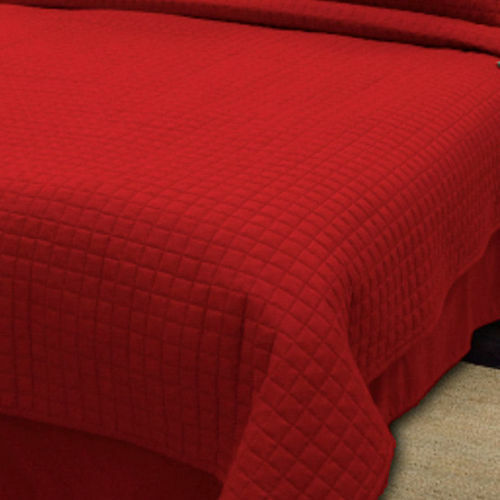 Queen size wholesale quilted coverlets designed specifically for hospitality and furnished lodging use when price, durability, ease of care and guest comfort are equally important. 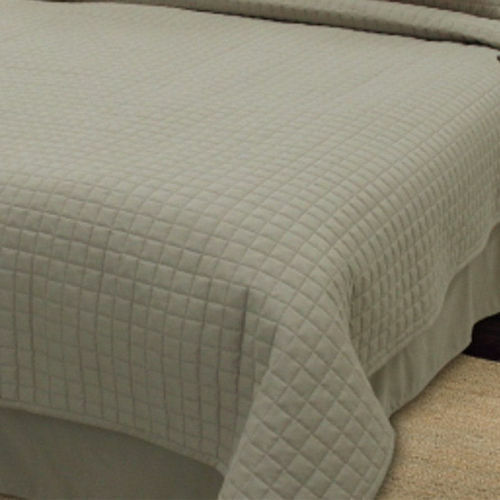 The Palmetto Box Quilted Coverlets function wonderfully as a stand-alone top-of-the-bed item in warmer climates or as a decorative top layer when used with blankets or duvets in colder climates. These queen coverlets are made from soft-to-the-touch microfiber fabric that provides guest with cotton-like comfort at an affordable price. The brushed fabric is soft, yet durable, easy to launder, and wrinkle-free. The microfiber fabric is then box quilted with a cozy, down-alternative fill; a combination that reduces your drying times by up to 30%-50% when compared to cotton or cotton blended coverlets. In addition to these great benefits, the coverlets are also color-fast and stain resistant for easier care and for a longer product life-cycle. Ultimately, reducing your cost per use over the life of the bedding. 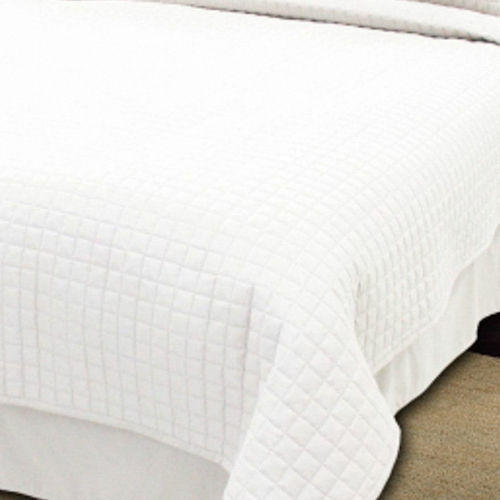 Whether used alone as medium-weight bedding or layered with duvets or blankets for colder sleeping conditions, you, your guest, and your housekeeping will love the Box Quilted Coverlets. 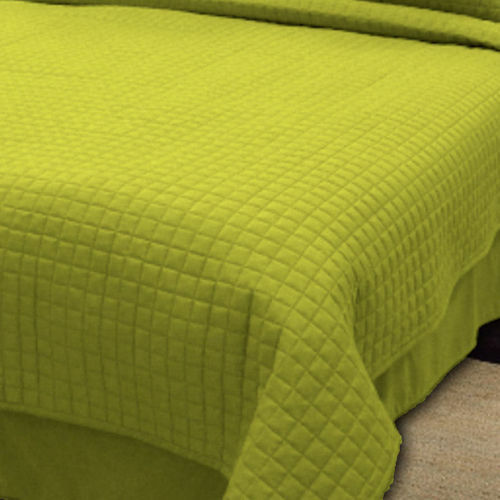 The Queen size Coverlets come in your choice of 8 color-fast colors to coordinate with your room decor. 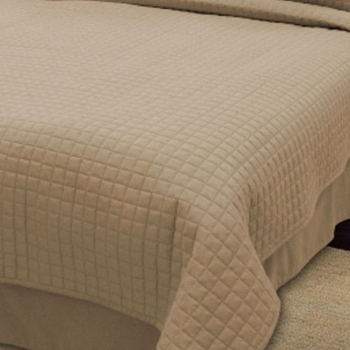 Available for wholesale purchase by the bulk case pack of 6 queen coverlets with Free Shipping on every order! For more information, click the details tab above. Coordinating queen bed skirts, pillow shams, bolster accent pillows, and square toss pillows are available to match. The coverlets can also be purchased as 4 piece Queen Coverlet Sets if you want bed skirts and pillow shams. Easy-Care, Wrinkle-Free Hospitality Bedding - Machine Wash and Dry. Durable Quilted Construction, Modern Micro-Box Design - Intersecting 1" box-stitch pattern eliminates shifting and clumping. Filled with 150 GSM Down-Alternative Polyester - medium-weight warmth, non-shifting, fast drying. 8 solid colors available: Camel, Espresso (Dark Brown), Green Apple, Gray, Moss Green, Nautical Blue (Dark Navy), Red Apple, and White. 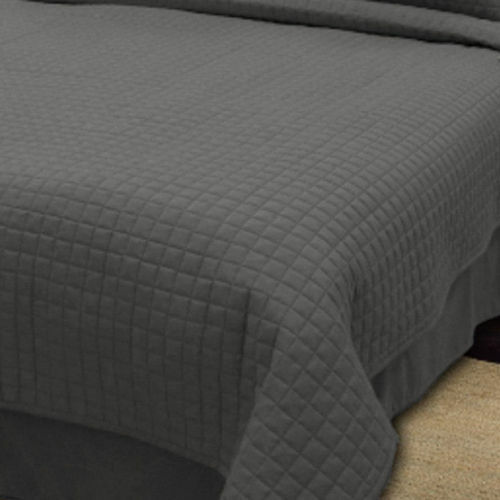 Queen Coverlets available wholesale by the case of 6 with Free Shipping on all orders!